We offer both the Standard (screw fit) and Slimline (clip fit) Ventilators from Glazpart. Both trickle vents use a 12.5mm routered slot, and are available in two sizes. The clip fit ventilator helps fabricators save valuable time, as their insertion takes over a minute less to install. BBA accredited. We supply the Frame vent range of trickle vents from RW Simon, designed to satisfy the requirements of uPVC, aluminium and timber windows. Easy to fit and durable, the vents are available in a choice of colours, including Standard White, Bright White, Dark Brown, Tan, Cream, as well as dual colour options on specific models. These trickle vents have been tested in accordance with BS EN1026 and 1027:2000 and achieve a water tightness limit of 400 p.a. Available in different sizes and easy to install, the Greenwood range of trickle vents are aesthetically pleasing and unobtrusive when fitted on the window profile. 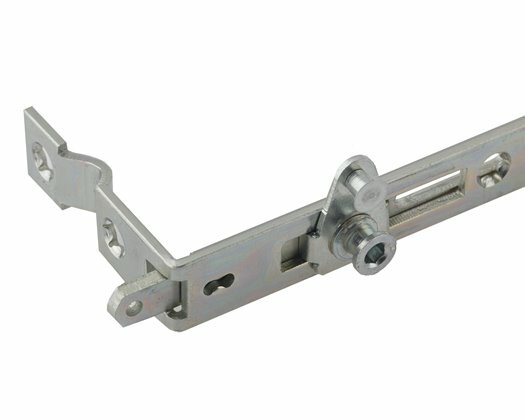 We supply both clip fit and screw fix options. Models available: 5000EA, F Vent, L Vent, S Vent.